In Part 3 of our Beginner’s Guide to Boosting Your Storage Property’s Value series, we focus on managing your unit mix to increase your property’s value. 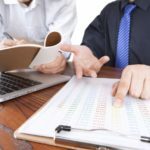 These are great items to tackle in preparation to sell your property and also a perfect way to increase revenue if you plan to retain ownership for the foreseeable future. Let us first talk about the way that you view your site. Whether you have multiple buildings or a single multi-story building, they are all the same, right? Just buildings constructed with metal, brick or concrete. Right? Well folks, I suggest that you start looking at your properties as more than just buildings. Your self storage facility is actually a living and breathing animal that is at your disposal. If you learn how to manage the unit mix within your building(s), this is an easy way to further increase your occupancy and build on that revenue piece we keep talking about. Why is managing your unit mix crucial to boosting your self storage property’s value? Let’s look at a couple different scenarios. No matter what the owner tries, he/she can never get the site to stay above 90% for more than 30 days at a time. After reviewing the last several months of data, all units less than 10×10 (100 sq ft) are 100% occupied and the vacancy is mainly in the 10x20s. 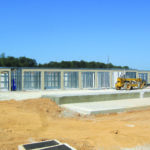 The 10×20 units are priced appropriately in the market at $120 per month. Right now, your vacant 10×20 is $120 per month, but you have collected $0 in rent due to the fact this unit has not been rented in 10 months. Your 5x5s rent for $35 a month and your 10x5s (5x10s) rent for $60 a month. By doing this simple conversion, you have gained 4 units that you will rent immediately and those 4 units will generate $165 in revenue a month; a 137% gain in revenue vs. a vacant unit. This scenario also applies to properties that are 100% occupied. The moment a large unit vacates, you can convert that unit down to provide you with additional units to rent! 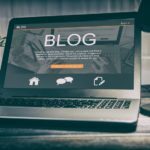 You should then re-read Part 1 and Part 2 of this blog series so you can avoid being 100% occupied. Site is struggling to maintain occupancy above 91%. After reviewing the last several months of data, you notice that your 5x10s are only 45% occupied and you have 75 of them. But your 10×10 and 10×20 units are full. That’s a lot of smaller units at a 400 unit facility, especially when they are not renting due to lack of demand. When converting small to large, it takes a little leg work to identify the set up. But once you get a handle on your unit mix, you can easily get these conversions done. Remember, a vacant unit is worth $0 in revenue. So, figure our what sizes your customers want and supply them with those sizes. Every site in the United States is different and every demographic is going to want different sizes. It’s up to you to determine exactly what that is for your facility. As you see, managing your unit mix is a simple way to identify supply issues within your own self storage property. With a little work, you can have the units available to rent that your customers want. And we all know what more rented units means! More Revenue! Increased Value! This concludes this 3 Part blog series on boosting the value of your self storage property. 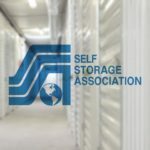 We hope you found this series helpful and it brings you closer to your goal of improving your self storage facility’s value! If you have further questions on how to get started, contact us and our brokerage team can help guide you.